Coverage: Live on BBC One and S4C, BBC Radio 5 Live, BBC Radio Wales, BBC Radio Cymru and BBC Sport website and BBC Sport app, plus live text commentary. 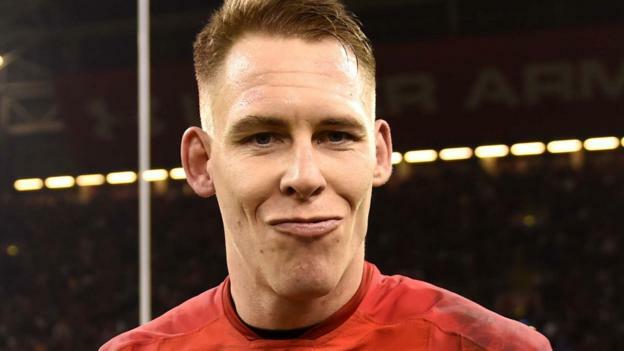 Liam Williams is fit to start as Grand Slam-chasing Wales name an unchanged side to face Ireland on Saturday. The full-back was was forced off during last weekend’s 18-11 victory against Scotland with a shoulder injury. Gareth Anscombe starts at outside-half with Dan Biggar still on the replacements bench. Wales are chasing a third Grand Slam under Warren Gatland – adding to the 2008 and 2012 successes – which would be a record for one coach. It is Gatland and fellow New Zealander’s Joe Schmidt’s final Six Nations matches in charge of their respective nations before they finish their jobs at the end of the 2019 World Cup. Ireland and England, who play Scotland immediately after this match at the Principality Stadium, can also win the Six Nations title. “We’ve named an unchanged squad and rewarded the players for the last couple of outings and the last couple of victories,” said Gatland. “These players are on a very good run, they are a hugely impressive group and they deserve to be going into the final weekend with everything to play for. Wales team to face Ireland: L Williams (Saracens); North (Ospreys), J Davies (Scarlets), Parkes (Scarlets), Adams (Worcester); Anscombe (Cardiff Blues), G Davies (Scarlets); R Evans (Scarlets), Owens (Scarlets), Francis (Exeter Chiefs), Beard (Ospreys), AW Jones (Ospreys, capt), Navidi (Cardiff Blues), Tipuric (Ospreys), Moriarty (Dragons). Replacements: Dee (Dragons), Smith (Ospreys), D Lewis (Cardiff Blues), Ball (Scarlets), Wainwright (Dragons), A Davies (Ospreys), Biggar (Northampton), Watkin (Ospreys).